Why Does Everyone So Unquestionably Aid and Abet the IRS??? When asked, in an extremely unscientific poll I have been conducting over the years, “Why do you continue to pay income taxes when you know these payments are being used to engage in illegal wars on country’s that have never attacked us and to pay the banksters servicing costs on our massive debt that they created with the consent and full ownership of our amoral government ‘leaders’? 87.8% said that they had voluntarily paid into the system because ‘they did not want to go to jail’. I then asked a follow up to those who did not want to go to jail if they knew anyone personally who had gone to jail for not paying their taxes and their answer was a 100% ‘No!’ I followed this up with a simple question to all of: Do you know why, how or when the U.S federal income tax system was installed. That got another 100% response of ‘No’ from all those polled. Tax Freedom Day is the day that we stop working, beginning from January 1 each year, just to pay our federal income taxes.This year, due to the many increased tax rates on most, Tax Freedom Day is moved back 5 days to April 18th. So to recap; Every April 15th we voluntarily assess our own wages and earnings into a system we have no idea how, when or why it was created. We work on average for 3 1/2 months just pay into our taxes and this money is used principally to fund war operations against others and pay just the service charges on our $16 Trillion dollar debt. All because we are ignorant or afraid to go to jail if we don’t pay which directly involves our complicit act of self policing ourselves while perpetuating and annually compounding the problems we most want to solve in this country of too much debt and war, which if eliminated by our refusal to voluntarily pay taxes would end both major problems we face. When the income tax was established after the Civil War, there were 30 words of the tax code, now there are over 4 million. The tax code has had 4,680 changes since 2001, more than one a day. The IRS in 2013 is reducing the number of agents to audit high net worth individuals by 18% this year. 30 of the most profitable companies in the U.S. paid ‘less then zero’ income tax the past three years. The wealth have $32 Trillion dollars in offshore accounts, legally, to not pay U.S. Income taxes. According to the IRS Commissioner, filling out a tax form is voluntary. This past November Californians’ voted to increase our sales tax otherwise we were threatened that our public school systems would suffer ‘drastic cuts’, even though none of the tax increases would necessarily go to the schools but into the states General Fund. In addition to cuts being proposed to our social security system, that we paid into and the allegedly the government has grossly mismanaged, here are more taxes being proposed and already being enacted. ObamaCare’s $1 trillion in total tax increase will hit everything from health insurers, drug companies, and tanning salons to Health Saving Accounts and – eventually – high-cost employer-based health insurance. Rural CA residents have been assessed a Calfire tax in 2013 even though we pay property taxes for local fire services. Austin, Texas and many other cities are enacting required “Energy Audits” on homes before they can sell their homes, effectively a tax on the sale of your home, which has its roots in the UN Agenda 21. The United Nations has plans for a global carbon tax on individuals and financial transaction taxes as part of their Agenda 21. 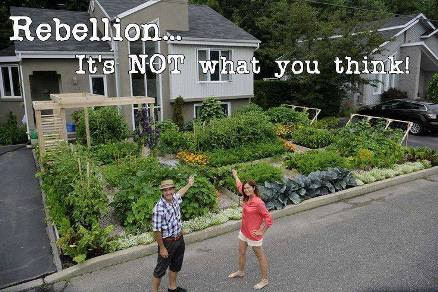 The Perfect Storm; Grow Local or Grow Hungry? Most of us who live in the United States have always assumed that our food would be available in abundance at our commercial grocery stores at affordable prices, at least for the past three generations. Most have never spent a thought about what they would do if their basic weekly food staples became unavailable and/or priced out of affordability to all except those in the upper class of our society. Back in the early 1900’s, 44% of the country were farmers and 22% of our net income was spent to put food on the table. Today less than 2% of the jobs in this country involve farming and 7% of middle class income on average is spent on food. This is in large part due to the just-in-time industrial globalization of food supply, large food subsidies to Big Ag doled out by our government, and the creation of synthetically modified “foodstuff” through biotechnology since 1966. A Perfect Storm is upon us this spring 2014 in California and well beyond. The gale force storm is likely to blow serious price changes to the price and availability of our basic foods through the months and years ahead due to several different factors that affect food costs and availability, or as called in businessese ,“structural prices change”. This March of 2014 has seen the largest increase in beef and veal prices since 2003 while milk prices globally are hitting all-time record highs. According to the U.S. Labor Department, since the end of 2013, lean hog prices have risen 42.5%, oats 29%, cocoa 11.8%, wheat 11.9%, cattle meat 11.4% and raw sugar 3.9%. As what happens in many a crisis’ it is not usually one catastrophic event that causes great disruptions and significant abrupt change in lifestyles, but many times seemingly random unrelated events occurring simultaneously or in quick succession, which can cause great upheaval and long-term deviation from previous periods of seemingly long-term normalcy. Additionally, weather-wise, history shows us that there are long periods of constant and consistent “Goldie Locks” planetary environments which have been followed by sudden, abrupt rapid climate changes. We appear to now be one of those times as the Eastern half of the U.S. endures an endless winter while Californian records historical drought conditions, yet to our immediate North, Oregon has recorded record cold snows this past winter. Globally, it is much the same story. Europe is blasted this winter with massive winds and storms while Alaska reports 40 degree above normal temps and Australia has to reset their color coded weather warnings to accommodate never before seen temperatures that reached 130 degrees this summer. California officials who manage the State Water Project announced in early March that they won’t be releasing any water for farmers, marking a first in its 54-year history. 3300 water contractors that provide farmers with water and hold historic agreements giving them senior rights will receive 40 percent of their normal supplies. Some contracts date back over a century and guarantee that farmers will receive at least 75 percent of their water. 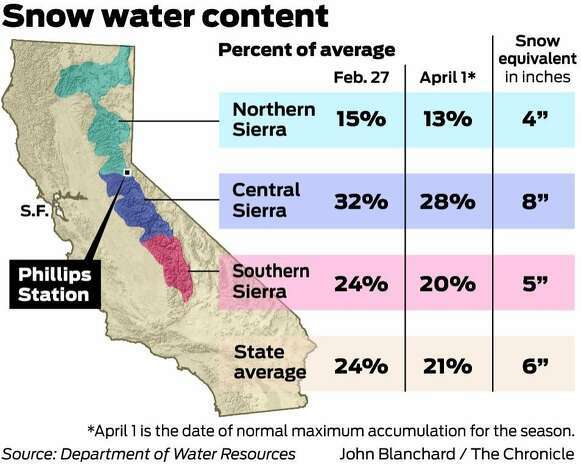 For the State of California, most in the state are critically dependent on what water comes off the Sierra and as noted above there will not be very much water to allocate. The snowpack – often called California’s largest reservoir – normally provides about a third of the water used by cities and farms as it melts into streams and reservoirs in spring and early summer. California’s major reservoirs, mostly bereft of both snow and rain this winter as the drought pushes through its third year, are dangerously low. Lake Oroville in Butte County, the State Water Project’s (SWP) principal reservoir, is at only 39 percent of its 3.5 million acre-foot capacity (57 percent of its historical average for the date). Shasta Lake north of Redding, California’s and the federal Central Valley Project’s (CVP) largest reservoir, is at 38 percent of its 4.5 million acre-foot capacity capacity (52 percent of its historical average). San Luis Reservoir, a critical south-of-Delta reservoir for both the SWP and CVP, is at a mere 33 percent of its 2 million acre-foot capacity (39 percent of average for this time of year).